Score one for the employer! Last week U.S. District Court of Maryland Judge Roger Titus granted Freeman’s motion for summary judgment and dismissed the case of EEOC vs. Freeman. Freeman, a leading integrated marketing solutions provider was slapped with a lawsuit by the EEOC back in 2009. 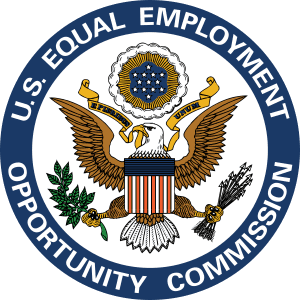 The EEOC claimed that Freeman discriminated against African American, Hispanic and male job applicants based on their consumer credit report and criminal conviction history. Judge Titus went on to comment that even the EEOC conducts background checks on its new hires, and factors in criminal activity when making an employment decision (furthermore, the EEOC utilizes credit reports when hiring for 90% of its positions). When discussing higher rates of incarceration for African Americans than Caucasians, Judge Titus noted, “Indeed, the higher rate might cause one to fear that any use of criminal history information would be in violation of Title VII. Although this is a win for Freeman, in no way should background screening companies and employers feel that the pendulum is swinging back in their favor. The EEOC guidance set forth in 2012 should still be followed each time an employer is thinking of taking adverse action based on criminal records.